There are 22 reviews of Eau de Lierre. Green, green, green - that is the core of the the top notes here. The ivy leaves blend with a - somewhat less impressive- geranium, but it is the cyclamen that really puts its defining stamp on this mixture. Crisp, a touch fresh, like sitting is an ivy-clad garden in early spring. Very well made. Unfortunately, like so often, after a commercially advisable attention-grabbing initial phase that is meant to prompt the sampling customer in the shop towards an impulse-purchase of the product, from the drydown onwards it is much less impressive. Whilst the touch of mild green pepper in the heart notes is not bad, the base with its ordinary woodsy white musks is rather unoriginal and dull. I get moderate sillage, adequate projection and seven hours on longevity on my skin. This spring creation deserves a lot of credit for the lovely top notes, with the rest developing from acceptable to boring and completely generic towards the end. Overall in the positive realm, but by a narrow margin only. 3.25/5. A cool, dark green shade. I think perfumes like Eau de Lierre speak to me because I hate hot weather. The one true escape (apart from the industrial solution of air conditioning) is to find a dense patch of green and creep into its shade – the temperature drops or seems to (which is perhaps as important). Eau de Lierre combines notes of bitter inedible vegetation with a sprinkle of dusty cyclamen and an overall cooling aquatic sheen – and that’s about it. But it’s enough to lie back and laze in. It reminds me of another simple aquatic green – Les Néréides’ now discontinued Vert d’Eau – which used to be my go-to high summer scent. With such things personal preference plays a strong role and I can understand how offerings like Eau de Lierre are too single-minded or unimpressive for some. To me they are a sometimes needed respite. Unfortunately fades back quite drastically after a few hours, losing the green edge, with just a bit of hazy sweetness and that aquatic shiver still remaining. Green fragrances are not the most popular, and not every perfume house offers one. 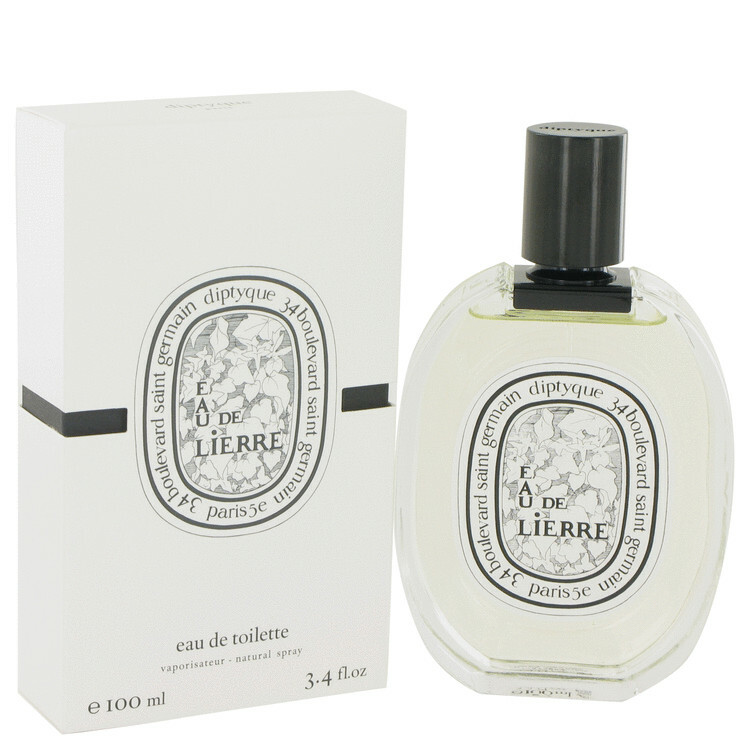 Diptyque used to have two: Eau de Lierre and Virgilio. Virgilio, now discontinued, was the good one. Eau de Lierre smells like a couple of classic green top notes, perhaps galbanum and tomato leaf, set at an excruciating volume and extended to tedious endurance by harsh synthetic floral underpinnings. It might make a good candle, but as personal fragrance its lack of balance and substance leave it feeling crude and grating. Eau De Lierre opens with bitter green galore. Crushed leaves and other non-sweet aromatic notes such as leafy geranium. Fresh and quite realistic, inoffensive but very likable. Unfortunately it quickly turns into a generic clean modern musky thing with woody undertones to then, even more quickly, turn into nothing at all. Despite the relatively short lasting power, the fragrance is overall not bad but I can't help it from finding it a bit unnecessary…especially when compared to other incredibly solid offerings from the same house. I believe if they would have marketed it as part of their *Eaus*, it would have played in the fragrance's favor. I’m normally not a fan of musks, but they play so well in this absolutely gorgeous green fragrance. I feel so fresh wearing it. The ivy leaves are beautifully executed, per Diptyque’s signature style. Love. Diptyque Eau de Lierre Eau de Toilette 3.4 oz New in box. Normally $140. Now 70! 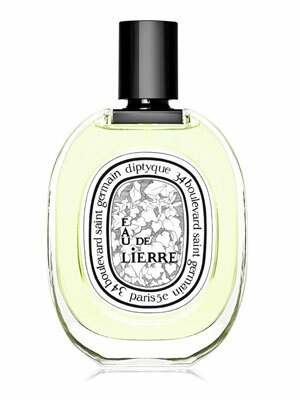 Diptyque "Eau De Lierre" Women's Eau De Toilette Fragrance. 3.4 fl oz. New. There are no member images of Eau de Lierre yet. Why not be the first?